Australia registered a seven-wicket victory over South Africa to end a run of five Test defeats in the day-night third Test in Adelaide on Sunday. The Australians, boosted by five team changes in response to two humiliating defeats to the Proteas to lose the series, chased down 127 runs for victory after dismissing the tourists for 250 on the fourth day of the pink-ball Test. 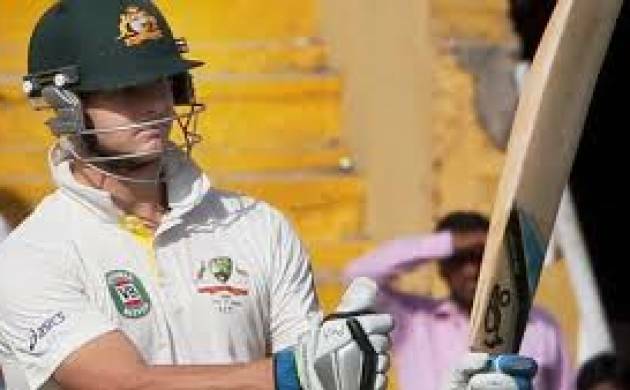 Debutant Peter Handscomb hit the winning run to finish one not out with fellow newcomer Matthew Renshaw on 34 in Australia's 127 for three. Handscomb came to the wicket after skipper Steve Smith was caught behind for 40 off Kyle Abbott with two runs to win. The home side also lost the wickets of David Warner and epic first-innings centurion Usman Khawaja along the way. Warner blazed 47 off 51 balls before he was run out in a mix-up and Khawaja, who batted for almost eight hours in the first innings, lasted just two balls before he was leg before wicket to a Tabraiz Shamsi wrong'un. Australia's victory saw off the threat of South Africa taking an unprecedented series clean sweep Down Under and was just the tonic after recrimination over the team's abject form. But after seizing a 124-run innings lead, Steve Smith's team broke down the Proteas resistance for their first Test victory since beating New Zealand by seven wickets in Christchurch in February. Once the dangerous Quinton de Kock was removed for five early on the fourth day, South Africa were always under pressure to build a defendable target to bowl at the Australians. The South Africans thought they had taken the wicket of Renshaw in the second over when they claimed a slips catch by Hashim Amla off Vernon Philander.But umpire Richard Kettleborough was unmoved and a review showed no contact with Renshaw's bat. In 10 reviews in the series involving Kettleborough the Englishman has a 100 percent success rate. South Africa held outside hopes of repeating their predecessors' famous five-run victory in Sydney 22 years ago when they bowled out Australia for 111.